And the winner is… EBRC! EBRC – European Business Reliance Centre – won the ‘Excellence in Cloud Service Award with local impact’. A panel of 21 independent judges from various European countries and areas of activities rewarded EBRC’s unconditional commitment, genuine inspiration, innovation and excellence. 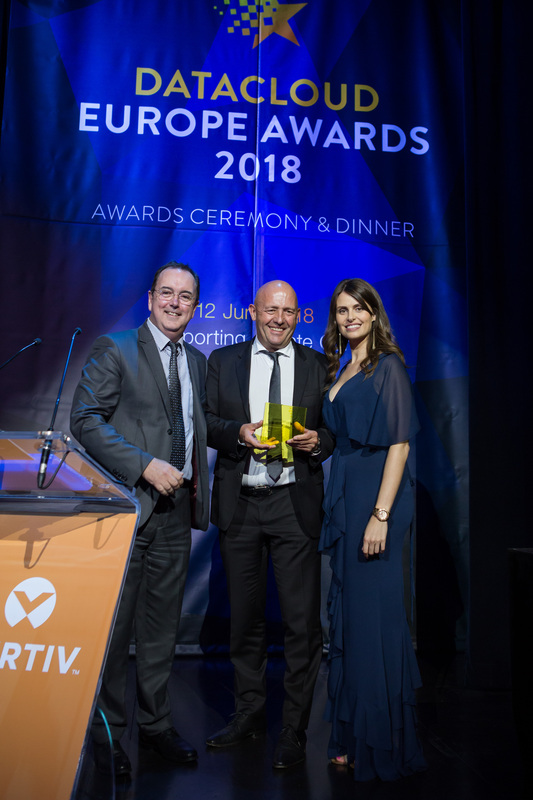 The Luxembourg leader in the integrated business of ‘Data Centre, Cloud and Managed Services’ was proud to reinforce its recognition on the international stage at The Datacloud Awards gala dinner and ceremony. For its 2018 edition, Datacloud Europe two-day-event gathered investors, financiers, business leaders and their enterprise customers in the stunning backdrop of Monte Carlo from the 12th to 14th of June. For decades, Luxembourg economy has been mainly organised in Finance-Government-Institutions markets requiring the best answers in terms of security, privacy, integrity & regulation. This local financial sector has shaped the service offers of EBRC by integrating the security component by design. At the heart of the digital economy, EBRC therefore meets the expectations of customers demanding the highest guarantees in terms of availability, security and protection of their sensitive data. Today, EBRC aims at going a step forward by introducing the cyber-resilience services to respond to the cybernetic threats. As a full-service player active in the entire IT value chain, EBRC confirms its ability to prevail on the international market with a strategy focusing on differentiation through a client business enabler perspective, excellence and innovation. “This distinction is crucial for the European visibility we want to give to our services, a unique one-stop-shop for Trusted IT Services. We thank all our national and international clients and members of the jury. Digital needs Trust. Therefore, we have focused our strategy on data protection and cyber-resilience. Our objective is to build together with our partners and our clients a strong Trusted Digital Centre based on European values”, says Yves Reding, EBRC CEO.